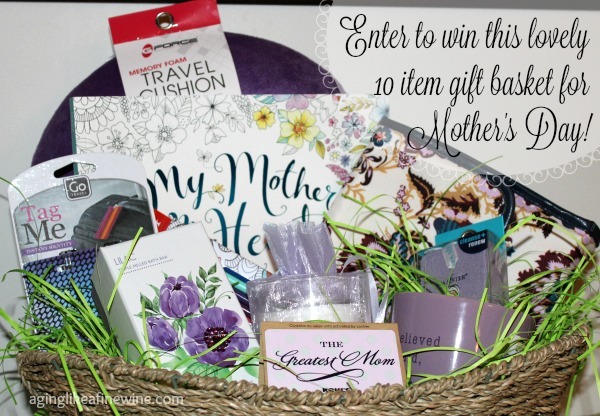 10 enticing items in this special Mother’s Day Gift Basket giveaway! Congratulations to Kristen F, winner of the Mother’s Day Gift Basket! A mother’s love is one of the most precious gifts in this world. Most of us have a twofold understanding of that love, first from the position of having received it from our own mothers and second, from the position of having given it to our children. To honor these special women there is a day that comes but once a year and that day will be here before you know it…. Mother’s Day! Are you prepared this year? Do you have a plan and know what you’re giving your own special mom or maybe another woman that has played a significant role in your life? I decided to offer this giveaway to help one person to give a special gift basket to the extraordinary mother in their life. 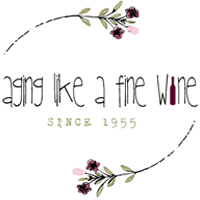 The basket contains a few items for your mom to pamper herself with, and since vacation season is almost upon us, a few things to make her travels a little easier this year. Pretty floral make-up bag. It has a hook tucked away inside which is great. When you arrive at your destination you can hang it up, making your toiletry items much more readily available. All of these items are beautifully arranged in a basket and ready to be given to your special mom! To enter this giveaway click on the giveaway link below. Good luck to you! The following poem about a mother’s love was written by a member of my family that is a bit shy, so he/she chooses to remain anonymous, but I thought it was very pretty and wanted to share it with you! This Mother’s Day gift basket giveaway post will be shared on the lovely link parties found on my “Where I Party” page! I purchased or was given the items in the basket with no remuneration. Doing nothing but snuggling family sounds wonderful! Whatever you decide to do, enjoy! I hope you have a great day together. Good luck with the giveaway! Get together with family like every year for a BBQ. Sounds like fun! I hope the weather turns out great for a BBQ. Whatever you do, I hope it’s a very special day! I hope it is nice and you have a fun day with your little guy! I certainly understand that! Have a good time! We will probably go out to eat and relax. I’m all for both of those! I loved the poem, I know what it’s like to be shy and not comfortable around others. I just wanted you to know that all of my older works have been lost because I chose not to share them. Don’t let this happen to you! Your knowledge could be useful! On another note what a beautiful Mother’s Day gift! Thank you kindly for the opportunity and have a wonderful day! Thank you for your kind words. Have a wonderful Mother’s Day! I plan to spend my mothers day with my kids and boyfriend, and his mom, dad, and brother. I hope it’s a great day together! Sounds good, I hope it works out for you! I plan to sleep in late. Do nothing, and go out for dinner! That sounds good too. I definitely don’t want to cook! Time with family is what it’s all about, so enjoy! I hope that wherever you live the weather turns out to be perfect for a cookout! I haven’t planned anything yet, but if the weather is nice I am hoping for a trip to the zoo! Oh my gosh, that sounds great! One of my favorite places! I’m almost 8 months pregnant and unfortunately won’t be able to travel to see my mom on Mother’s Day. So it will be a nice relaxing day celebrating our soon-to-be little one. Congratulations! Have a wonderful day at home making plans for your soon-to-be-little one! Hopefully you will be able to spend the day with your mom. Good luck with the giveaway! What a really fun Giveaway! Shared today! Thank you for stopping by and commenting! Hope you have a great weekend as well! Thank you for sharing Your giveaway on the Oh My Heartsie Girls Friday Features this week! I just entered also! Thank you for hosting! Good luck with the giveaway! We are going out to dinner on Saturday. Dinner sounds good, no cooking or cleaning up! Enjoy! I plan to spend time with her and give her a handmade card. That sounds nice. Time is our best gift! I have not thought about Mother’s day yet… Maybe I will visit family and friends! Enjoy your day, however you choose to spend it! I will be spending Mother’s Day enjoying brunch with my mother. We are going to have a nice day spent at home. My mom will be here so it will be extra special. That is special. I hope someone else does the cooking for you and you can just relax and enjoy! I will have 2 Mother’s Days this year. Every year I fly up to San Francisco to visit my daughter the day before Mother’s Day – breakfast with my daughter, a shopping spree and home for dinner with the hubs. But this year, I have a new daughter-in-law and we are joining families for a special Mother’s Day high tea in Beverly Hills. I can’t afford to fly my daughter down so my cousin will be my “date”, my sister and niece will join us and my DIL and her mother will finish off the group. I love high tea and can’t wait. Hi Carol, (I apologize; I just found your comment in spam.) It sounds like it will be a really special day!